IRVINE, Calif. – “Ultimately, we want to help students alter power relations on their campuses,” Athena Matyear, training director for the United States Student Association (USSA), told the People’s World here at the University of California-Irvine (UCI) during a break at their 67th Annual National Student Congress. Nearly 200 students from 22 campuses across the country met August 7-12 to discuss administrative and action resolutions, plan work for the coming year, organize and attend workshops and elect their in-coming vice president and president. 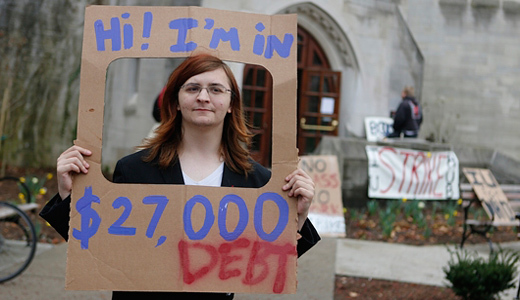 It’s no secret that students are straddled with huge amounts of debt. 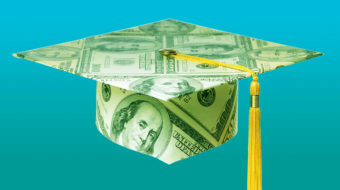 In fact, it is estimated that student debt today equals about $1.2 trillion dollars. Huang addressed the need to build student-worker alliances. As the SLAP coordinator, she works with students to help them identify and work with local unions around tangible, winnable workers’ rights campaigns. The Congress included workshops on “Mass voter registration and get out the vote,” “Going on offense: Building coalitions for higher education funding,” “Debt free education is a right! – Having our voices heard in the blogosphere age,” “Inspiring voices for change: Confronting the 1 percent, campus organizing and Speak Progress” and “Union 101: The basics of working with campus unions,” among many others. The Congress also included numerous “Ally” spaces for members who wanted to discuss how they can support LGBT, African American, women and other racially or nationally oppressed students. Threads of solidarity with marginalized groups was organically woven throughout the entire Congress, as students, facilitators, workshop leaders and USSA staff went out of their way to ensure that everybody felt welcomed and could participate in a comforting and comfortable environment. 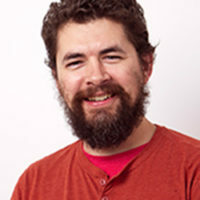 In the “Queer Ally” workshop, John Aspray, USSA’s national field director, reinforced and supported student’s “right to not have permanent, fixed identities.” “Identity is fluid,” he said. While students were able to discuss specific issues – like job discrimination among LGBT youth – they also talked about how issues intersect. “Race, class, gender, identity, the ability to get a living wage – these issues are all tied together,” Delshadi added. Chauncey Robinson, from the Young Communist League, couldn’t agree more. If USSA’s 67th National Student Congress is any indication, our future is in good hands.